My kids are nerds, being raised by nerds with a taste for all things nerdy. Their taste in music is no exception. Amidst the warbling of One Direction, Katy Perry and (gah) Justin Beiber their playlist also features Stevie Wonder and Kate Bush. They frequently lose it to Tina Turner’s Proud Mary and they were quite downbeat when David Bowie died. Literally people my work here is done. 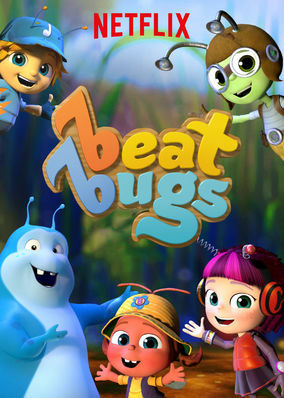 You can understand so why I was chuffed at news that the latest Netflix offering – Beat Bugs, which launched in early August, and is loaded with hits but the very fabulous Beatles. Beat Bugs. There’s some dodgy humming where those great 1960’s drugs lyrics are but all in all, we love it. As a member of the Netflix Stream Team I have been given, free of charge, an Apple TV and year-long subscription to the Netflix streaming service ,for the purposes of monthly Netflix updates. At all times the opinions given will be independent and my own. Let the numbers speak for themselves. Then March for Choice. I've more children than hands. I juggle work, kids and life - sometimes well, often badly. Unless otherwise creditted, all images and articles are owned by the author and may not be reproduced without express permission.